Do Air Purifiers Really Remove Viruses? Blog July 20, 2017 0 Milan A. If you are new to air purifiers, you never thought that viruses could be removed by a simple device for a couple of hundred dollars. And to tell you the truth viruses can’t really be removed with a standard air purifier. For removing viruses, you will need to use a special air purifier that applies one of the methods for killing the viruses. 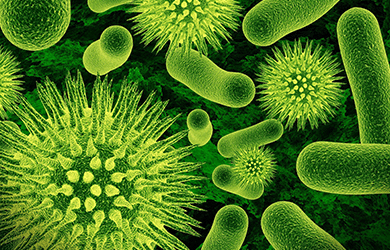 Germs, bacterias, and viruses can be killed or removed with Ultraviolet radiation. But the problem with this method is that it requires a UV light to be directed for a longer period of time on the air flow to destroy viruses. However, some air purifiers direct the UV light to the HEPA filter and in that way when the virus gets trough the HEPA filter it gets destroyed by UV light. Until today there are no tests that will prove this effectiveness and because of that Environmental Protection Agency warns about this system as being ineffective. Electrostatic Precipitator is a simple method that uses opposing charges and in that way makes increase the size of the virus and because of the heaviness virus will fall. But this method doesn’t kill the virus, because of that UV radiation or heating is required. So you should look for an air purifier with heat or UV light emitting together with an electrostatic precipitator. Ozone generators are by some researchers not good for public health. The reason for this is because ozone in high dosage is unhealthy to humans. And some ozone generators can produce up to 10 times more ozone that it is allowed by standards. But ozone generators are extremely good at killing viruses and bacterias, you just need to make sure you are not in the room ozone generator is working, and after it is done, you should open windows. And by opening windows, you can again let the new viruses come in the room. Because of that, you should look at ozone generators that produce .01 or less ozone, but then again the effectiveness of that ozone generator is the question. This kind of air purifiers should be avoided. The effectiveness of this method is the question, and some researchers show that while combating one air pollutant air purifier may make new air pollutant. Environmental Protection Agency also warns against those air purifiers as not useful and potentially harmful. Hepa filters are most popular filters in air purification, and every decent air purifier has HEPA filter. But the problem with HEPA filter is that it is not capturing viruses or bacterias because these small particles are just too small and just go trough the filter. Thankfully there is a new HEPA filter on the market, named HyperHEPA and produced by IQ Air. This filter is capable of removing small particles that are small as a virus. But still, Environmental Protection Agency is skeptical about this claims because there are no tests done to back the effectiveness of this filter. Altho HyperHEPA air purifiers are used in hospitals and clean rooms. Environmental Protection Agency says that there are no standards for the effectiveness of removing viruses from the air and because of that nobody can tell how effective an air purifier is. But if you look at the methods these air purifiers use you can get some pictures of the virus removal effectiveness. Above mentioned air purifiers are expensive air purifiers but all of them are combating viruses and bacterias with the method that is proven to work. The only question that needs to be answered is: “How well did they apply the method in the air purifying system?” Sadly answer to this question nobody can give because there are no standard tests to measure virus removal from the air. For people on low budget best method would be using standard air purifiers with True HEPA filter together with an ozone generator. First, you run ozone generator and after that you open windows to let harmful levels of ozone get out from the room. After that, you should start air purifiers with a True HEPA filter to remove all other harmful particles in the air. How to Reduce Dust in Home With an Air Purifier?